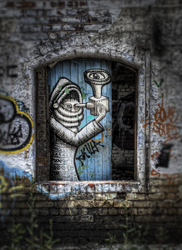 Here's my take on the cover of RomanyWG's excellent book - Out of Sight. 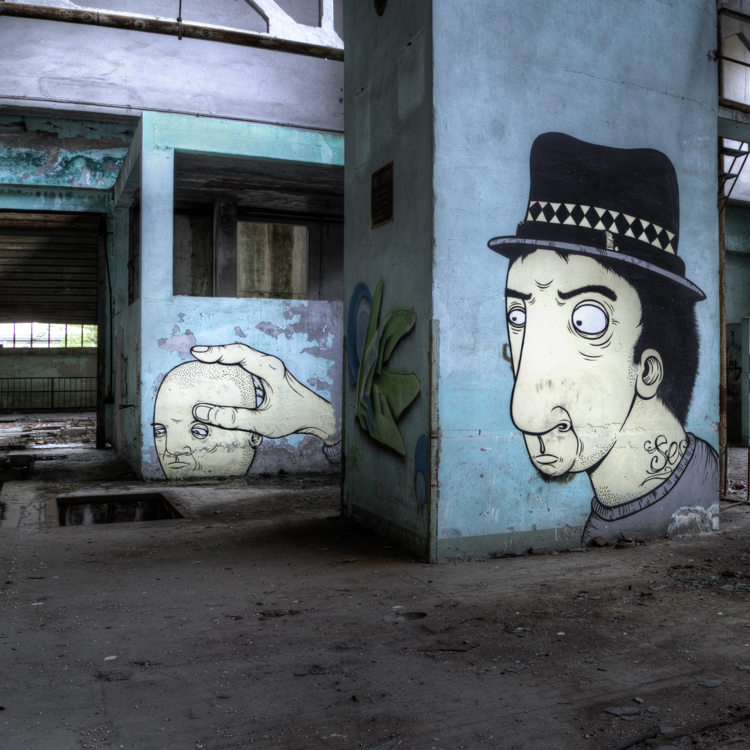 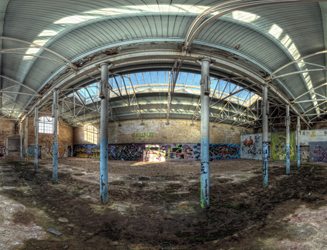 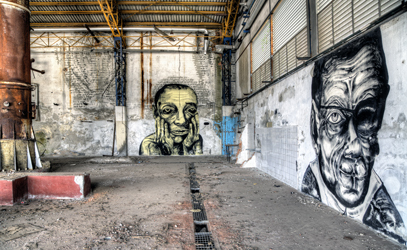 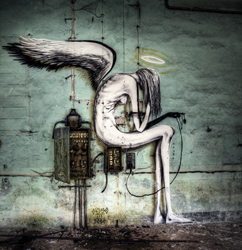 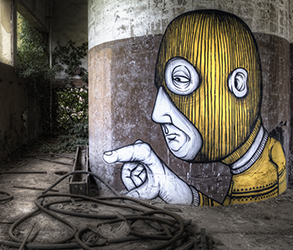 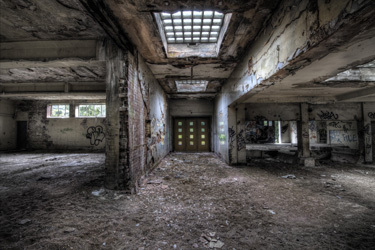 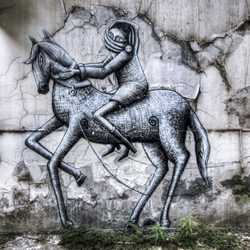 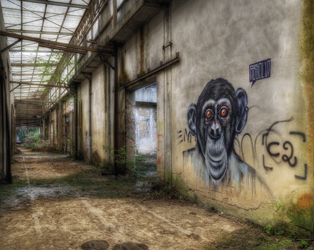 If you are a fan iof street art and urbex it's certainly worth a look. 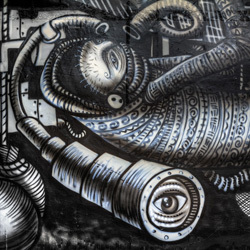 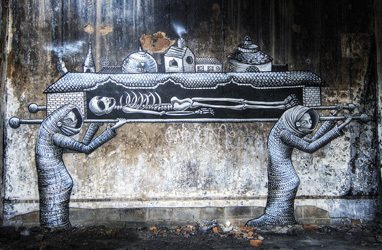 Art that has been presented in hidden location around Europe featuring lots by Sea Creative, Phlegm and others. 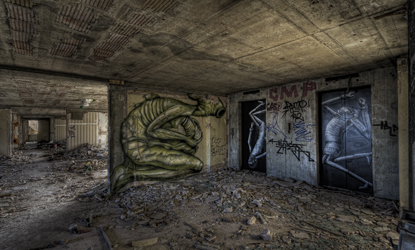 Here's some more Phlegm from the hotel! 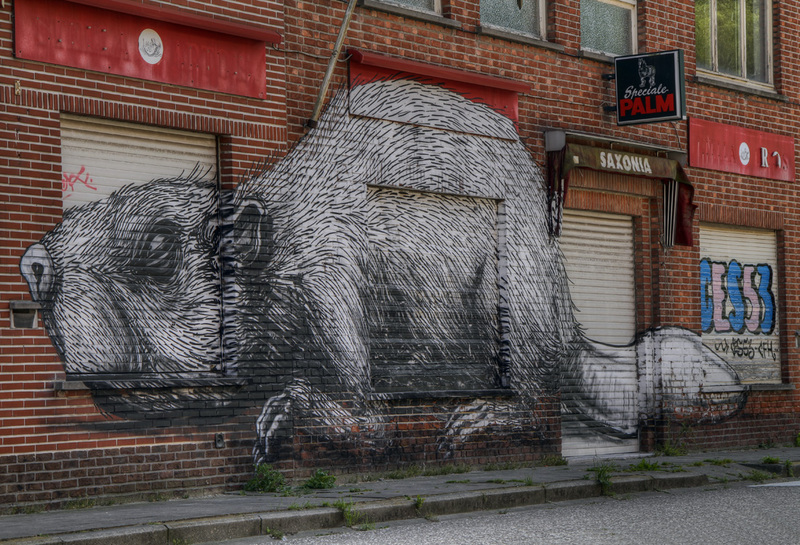 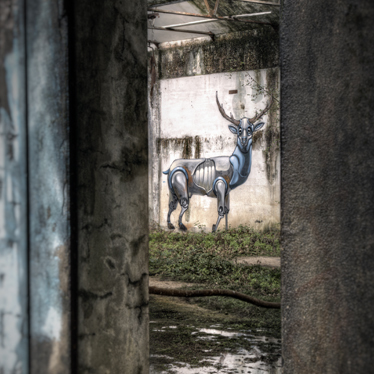 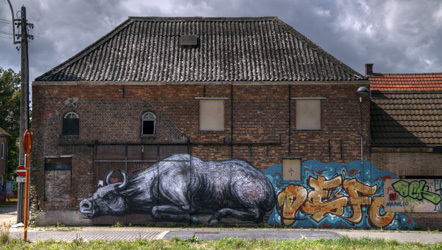 I just realised that I've not blogged my ROA images from Doel in Belgium - so here you go! 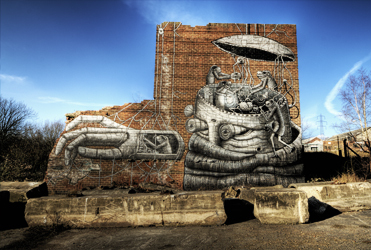 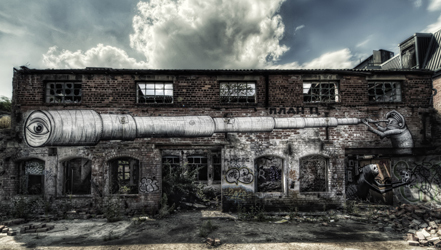 Another from the telescope fixates Phlegm, this time an exterior image painted on the side of a derelict building. 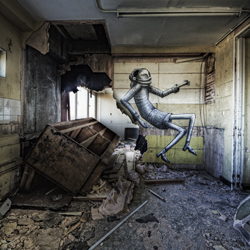 Final of the three in the series - more great work in my opinion. 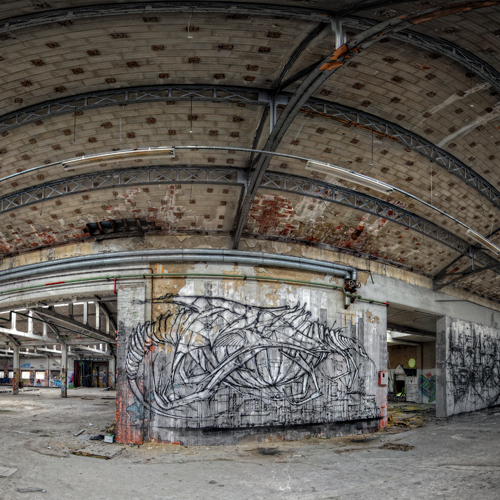 I'll let the pictures do the talking . 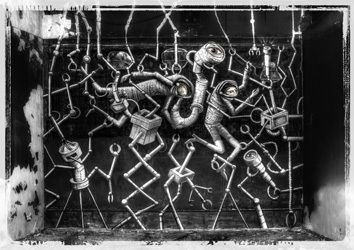 . . Click the images to see larger, the gallery or to purchase.